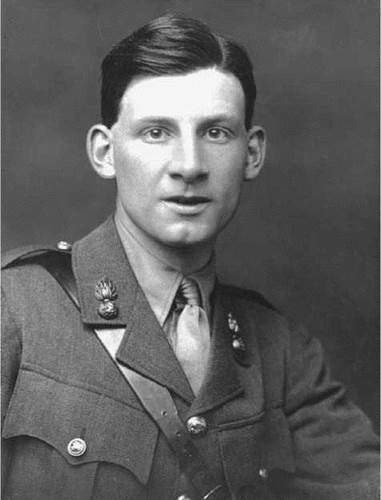 Best remembered for the angry, compassionate poems that chronicled World War I, British poet Siegfried Sassoon became internationally famous for his satiric tone and his antiwar beliefs. Though the war was a topic of many great poets of the age, Sassoon’s verse avoids sentimentality and patriotism, instead mocking the officials whose blind obedience led to one of the most violent wars in history. While his later poems were not as widely appreciated as his early work, Sassoon won major awards and acclaim for a fictionalized semiautobiographical work that is widely recognized as an outstanding portrait of his time. Privileged Upbringing. Sassoon was born in Brenchley, Kent, England, on September 8, 1886. Born into a wealthy Jewish family who had made their fortune in colonial India, Sassoon was the child of a marriage between a Gentile mother and a Jewish father. Though the couple eventually separated and Sassoon’s father died young, Sassoon enjoyed the cultured, comfortable life of a country gentleman in the years leading up to World War I. He was taught at home by private tutors and attended law school at Marlborough College before going to Cambridge, where he studied history. Interest in Poetry. Sassoon left school without taking a degree, however, preferring to focus on his new pursuit: poetry. When his mother introduced him to several of society’s literary figures, including Rupert Brooke, Edmund Gosse, and Edward Marsh, Sassoon soon began to publish his poems privately. Sassoon’s early poetry reflects the influence of the Pre-Raphaelite movement, characterized by romance, melodrama, and old-fashioned language. Literary critics have generally dismissed this work as unimportant and too similar to that of John Masefield, one of Sassoon’s literary influences. War. As Sassoon reached maturity, World War I engulfed Europe. The war began when Archduke Franz Ferdinand, the heir to the throne of Austria-Hungary, was assassinated by a Bosnian terrorist in Serbia. Ferdinand’s death had a domino effect as much of Europe was divided by entangling alliances. The late nineteenth and early twentieth centuries had been marred by increasing tensions over control of territory and sovereignty issues, particularly in eastern Europe. The alliances aligned as war was declared. Britain fought on the side of Russia and France, with the United States joining them later. They fought against Germany, Austria-Hungary, and the Ottoman Empire (Turkey). Joined Antiwar Movement. Sassoon himself was wounded several times, and while recuperating in England, he met individuals who were active in the antiwar movement. Their views soon infiltrated his opinion of combat. Believing ‘‘this War is being deliberately prolonged by those who have the power to end it,’’ Sassoon made a public protest in 1917 against the continuation of the war by throwing his Military Cross into a river and, in what Sassoon called a ‘‘wilful defiance of military authority,’’ writing an open letter to the War Department that was published in newspapers and read in the British House of Commons at the urging of pacifist philosopher Bertrand Russell. Sassoon expected to be court-martialed for his actions. Because fellow poet Robert Graves insisted that Sassoon was ill and in need of hospitalization, Sassoon’s open act of defiance was believed to be the result of shell shock (what would be called combat stress reaction today), and charges were not brought against him. Instead, he was sent to the Craiglockhart War Hospital in Edinburgh, Scotland, where he became close friends with Wilfred Owen, another war poet. Sassoon’s volume of poetry The Old Huntsman, and Other Poems (1917) had been published the year before and began to receive increased notice due to his public stand against the war. His next book, Counter-Attack, and Other Poems, appeared in 1918 to fierce public reaction. The book, which contained war poems inspired by Sassoon’s experience in combat and in the hospital, was graphically violent and realistic. Sassoon was criticized for being unpatriotic and extreme, and even his influential pacifist friends complained about the explicit details of the verses. Critics and authors of the time disliked Sassoon’s shocking methods and complained that he was writing propaganda, not poetry. Nevertheless, the book sold well, and Sassoon became well-known for both his poetry and his political stance. Postwar Work. Sassoon, who had been sent back to battle in 1918 despite his protests, was shot in the head and discharged before the war came to an end. By the conclusion of World War I, more than eight hundred thousand Britons had been killed, and many more were injured. Following the war, Sassoon became involved in politics, supporting his pacifist friends and lecturing on pacifism. Though he continued to write, critics widely acknowledge that his work had lost the relevance and prophetic quality that it had displayed during the First World War. Sassoon’s anger and his hatred of combat did not resound with the new set of social and political problems facing England and Europe in the 1920s and beyond. In Great Britain, for example, the economic and human losses brought on serious disturbances in society. By the 1930s, the United Kingdom, like many countries in the world, was immersed in the a deep economic depression resulting in the unemployment of millions of workers. In the meantime, Sassoon was achieving success as a prose writer. He published a trilogy of semiautobiographical novels, Memoirs of a Fox-Hunting Man (1928), Memoirs of an Infantry Soldier (1930), and Sherston’s Progress (1936), published together as The Complete Memoirs of George Sherston in 1937. In addition to relating a barely fictionalized account of Sassoon’s experiences during World War I, these works contrast the pleasures of country life with the brutality of war. The novels were well received, with some readers asserting that Sassoon’s prose was better than his poetry. In 1948, Sassoon also wrote a respected critical biography of Victorian novelist George Meredith, titled Meredith. Later Life. After a period in which his spiritual life became of increasing concern, Sassoon converted to Catholicism in 1957. Though his religious poetry is considered inferior to his other writing, his book Sequences (1956), which appeared soon before his conversion, is considered among the century’s most impressive religious poetry. Sassoon’s later life was solitary, though he married (and quickly divorced) Hester Gatty in 1933 and had a son, who visited him often during his later years. He died on September 3, 1967. E. M. Forster (1879-1970): This English novelist and essayist wrote A Room with a View (1908) and Howard's End (1910), both successfully adapted as films. Archduke Franz Ferdinand of Austria (1863-1914): The assassination of this heir to the throne of Austria- Hungary led to the outbreak of the First World War. Charlie Chaplin (1889-1977): This British-born comedic actor was known for his humorous silent roles. His films include The Kid (1921) and The Great Dictator. Vaslav Nijinsky (1889-1950): This Polish ballet dancer and choreographer is known as one of the greatest dancers of all time. He choreographed ballets, such as Jeux (1913). Marie Curie (1867-1934): This Polish-born French physicist and chemist discovered radium and polonium. In 1932, she founded the Radium Institute in Warsaw. Margaret Sanger (1879-1966): American activist Sanger was an advocate for birth control and founded the American organization eventually known as Planned Parenthood. The Red Badge of Courage (1895), a novel by Stephen Crane. In this book, a young man struggles with the horrors of war—and his desire to flee from battle— during the American Civil War. All Quiet on the Western Front (1929), a novel by Erich Maria Remarque. This work delivered such a powerful antiwar message that it was banned in Nazi Germany. Gallipoli (1981), a film directed by Peter Weir. This film, starring Mel Gibson, follows the fate of two young Australian men who both serve in the disastrous Battle of Gallipoli during World War I. Three Kings (1999), a film directed by David O. Russell. Depicting innocents who suffered the effects of chaotic and random combat, this movie questions the rationale of Operation Desert Storm. The Modern Epoch. Though Sassoon had a varied literary career, he is best remembered for his striking portraits of life in World War I, an event that affected nearly the whole of his output. His works depict a generation’s transformation from the pastoral simplicity of the past to the violent uncertainty of a modern epoch. Sassoon was among the ranks of other war poets, such as Wilfred Owen, Rupert Brooke, Isaac Rosenberg, Edmund Blunden, and Robert Graves. Early Verse. Unlike his wartime poetry, Sassoon’s early verse is written in the Georgian style, a return to the pastoral literary tradition in reaction to the reason and realism of the Victorian age. Sassoon was influenced by an expansive reading list, which included classic literature, the Romantic poets, the Pre-Raphaelites, and the plays of William Shakespeare. In general, Sassoon’s early poems favored conventional romantic themes and archaic language. ‘‘The Old Huntsman’’ is appreciated for its serene, humorous reminiscences of the changes undergone by both the title character and the world. Overall, however, the poetry from Sassoon’s early career is considered inferior to his later work. ‘‘Happy Warrior” Poetry. Even in The Old Huntsman, and Other Poems, which is regarded as the epitome of Sassoon’s romantic poetry, one can see signs that Sassoon belongs to a generation of realistic war poets, as this volume also contains several short poems that express his anger toward the war. Before Sassoon had been in the trenches himself, he had remarked, after reading Robert Graves’s war poems, that war should not be depicted so realistically. The war poems in The Old Huntsman, and Other Poems are sometimes referred to as ‘‘happy warrior’’ verse because they are idealistic and employ the same language and structure as his pastoral work. War Poetry. World War I inspired the production of poignant and terrifying poetry that captured the awfulness of trench warfare and death, often experienced firsthand by the poets themselves. Indeed, it was Sassoon’s experiences during World War I that changed not only his poetic style but also his outlook on life forever. The harsh realities of death, destruction, injury, and desperation that Sassoon faced in the trenches gave immediacy to his war poetry, which was characterized by some readers as a shocking assault on the senses—clearly a break from the romantic idealization found in most Georgian poetry. ‘‘Deliberately written to disturb complacency,’’ Sassoon said of his writing during this time, which became satirical, unsentimental, frank, and stylistically colloquial and informal. Occasionally, though, he had the ability to transcend his anger. During such a period, for example, he wrote ‘‘Everyone Sang,’’ a joyful lyric expressing relief at the armistice ending World War I. Influence. In documenting the era of the First World War, Sassoon’s satiric mockery of warfare established an influential model for other writers in the twentieth century, many of whom became lifelong friends. War Protest. Combined with the influence of his pacifist friends, Sassoon’s aversion to warfare resulted in emotionally charged pleas against a war he thought would never end. His poetry about combat has been recognized as a chronicle of his times, almost documentary in presentation. As is the case with any form of protest, Sassoon’s war poetry elicited mixed reactions, though it is generally regarded as the highlight of his career. His ability to capture the nuances of emotion experienced by a whole generation of soldiers in a few biting lines earned him much admiration in his time. However, Sassoon has never received as much critical attention as other great poets of the twentieth century, perhaps due to his strong identification with antiwar poetry. 1. Sassoon’s antiwar sentiments almost had him arrested. Instead, he was hospitalized for ‘‘shell shock’’ (or what today is called combat stress reaction) an ailment similar to post-traumatic stress disorder (PTSD). Research shell shock and PTSD, including their effects, treatment, and how many people are estimated to suffer from them, and summarize your findings in a PowerPoint presentation. 2. Sassoon is known for his barely fictionalized novels of British country life. This genre is sometimes known as ‘‘roman a clef.’’ Research the characteristics of this kind of literature and write a paper on your findings. Do you think this genre is merely entertaining or does it have deeper implications? 3. Sassoon’s war poetry is known for its brutal portrayal of death, suicide, cowardice, blood, and gore. Why do you think these images were so controversial to English audiences during World War I? Consider the videos the United States receives from terrorist organizations showing the beheading of Americans they have captured. Compare public reaction to these videos with the images presented in Sassoon’s poems in a paper. Do you feel that our society has become too desensitized to violence as a result of our country’s movie and video game industries? 4. Sassoon was a friend and mentor of Wilfred Owen, who eventually became more well-known than his teacher. How would the friendship between Sassoon and Owen have affected both poets’ work? Find other examples of students whose work surpassed that of their mentors and create a presentation of your findings. What reasons can you give for this success? How do you think the mentors reacted? Moeyes, Paul. Scorched Glory: A Critical Study. New York: Palgrave Macmillan, 1997. Roberts, John Stuart. Siegfried Sassoon. London: John Blake, 2000. Thorpe, Michael. Siegfried Sassoon: A Critical Study. London: Oxford University Press, 1966. Wilson, Jean Moorcroft. Siegfried Sassoon: The Making of a War Poet. London: Duckworth, 2004. Times Literary Supplement, July 11, 1918; June 3, 1926; November 1, 1947; September 18, 1948; January 4, 1957; December 7, 1973.